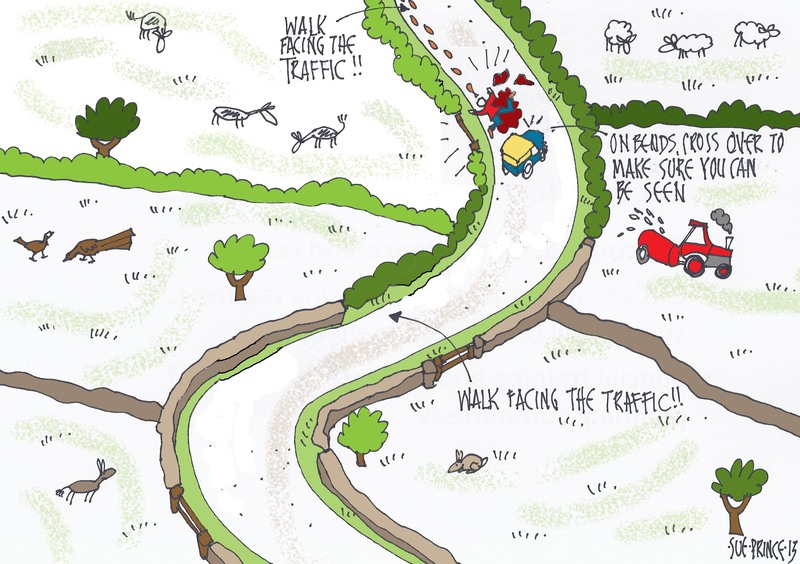 We really don’t want your blood all over our country lanes, we want you to enjoy our great places and not get hurt- Please walk safely. Particularly when you come and visit the wonderful Peak District National Park and maybe stay at our lovely Beechenhill Farm. Walk on the right-hand side of the road (in UK), facing on-coming cars. Always make sure you are visible to drivers. On right-hand bends carefully cross to the other side to make sure you can be seen. “If there is no pavement keep to the right-hand side of the road so that you can see oncoming traffic. 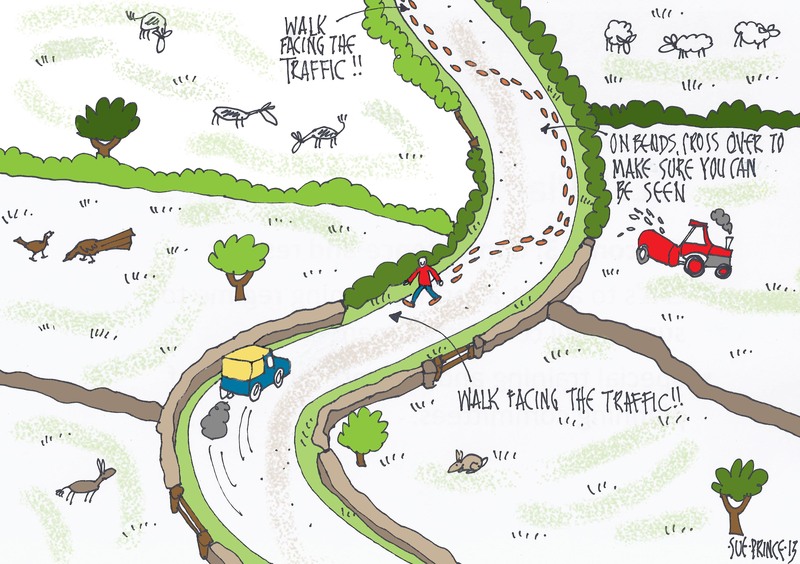 You should take extra care and be prepared to walk in single file, especially on narrow roads or in poor light. Also, keep close to the side of the road. Do it this way and get squashed…. LISTEN for traffic coming behind you. CHILDREN –Train your Adults to WALK FACING THE TRAFFIC! RUBBISH, Please don’t throw your rubbish in the lanes, animals may choke. Where ever you are in the world WALK FACING THE TRAFFIC! Did I say? WALK FACING THE TRAFFIC! I repeat please WALK FACING THE TRAFFIC! This entry was posted in accessibility, adventure, Derbyshire, environmental, farm visits, Peak District, rural community, Sheffield, Uncategorized, Walking, young people and tagged countryside, exploring, farming, Peak District, peak district national park, rambling, road safety, safety, Staffordshire, villages, walking. Bookmark the permalink.